Hurricane Season started Wednesday and …. The 2011 hurricane season started Wednesday and according to the National Hurricane Center, there are two potential systems in the Atlantic. The first system is currently situated in the center of the Gulf and moving southwest at around 10 mph to 15 mph. The second system is currently in the west-central Caribbean Sea, causing threatening flash-flooding conditions for Haiti and the Dominican Republic over the next few days. However, it is unlikely either system will form into a tropical cyclone in the next 48 hours. The systems have a 10 percent and 20 percent chance, respectively. Is Georgia ready for an unlucky roll of the dice? A Savannah-based hurricane forecaster who focuses not on the number of storms but how much damage storms are likely to inflict and where is predicting more than $250 million worth of hurricane damage in Georgia this August. Chuck Watson, a visiting research scientist, and statistics professor Mark Johnson at the University of Central Florida base their analysis on statistical models that incorporate the paths of storms from the past 160 years, along with models using the actual climate conditions this year, to compute the expected day-to-day global climate situation for the rest of the year. Incorporated into the models are estimates of the value of the homes and infrastructure in the path of the storms. The Air Force Reserve “Hurricane Hunters” (a.k.a. 53rd Weather Reconnaissance Squadron) are bringing their special hurricane-penetrating Lockheed-Martin WC-130J to Atlanta Regional Airport (Falcon Field-FFC) in Peachtree City on Saturday. The crew from the 403rd Wing, based at Keesler Air Force Base in Biloxi, Miss., will be available to meet the public, and will be conducting tours of their aircraft from 11 a.m to 5 p.m. As part of this special eventthe National Weather Service Office in Peachtree City is hosting an “open house” to give area residents a chance to learn more about forecasts and warnings and how to monitor the tropics, track storms, receive warnings and take actions to protect life and property. Savannah is Number 4 on The Weather Channel’s list of Top 5 Hurricane Overdue Cities. Stay Away from our coast! Win a NOAA Weather Radio! Jeff M. and Gwendolyn F. were quick on the draw last week, confirming that The National Hurricane Center began using men’s names in 1979. 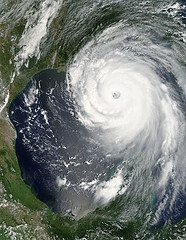 Hurricane Bob struck land near Grand Isle, Louisiana, on July 11, killing one person and causing over $20 million in damage. The name “Bob” was used for two additional storms, in 1985 and in 1991. The 1991 storm was one the costliest hurricanes in New England history, killing 17 people and totaling approximately $1.5 billion in damage. Bob was retired in the spring of 1992, and was replaced by Bill in the 1997 season. This week we ask: How much rain does a typical hurricane release?